The Southern Oaks Inn in Branson, MO is a great option for lodging. Plan your next vacation to the Ozarks around this awesome hotel and you are sure to have an amazing time. The hotel is close to so many awesome attractions, allowing you to get out and explore the heart of Branson. This hotel is located in Branson's famous Theater District. Here, guests will be a short drive from attractions such as White Water, Sight and Sound Theatres, and the famous Branson Titanic Museum. There are also many nearby shopping venues and restaurants so you can truly get out and have some fun! 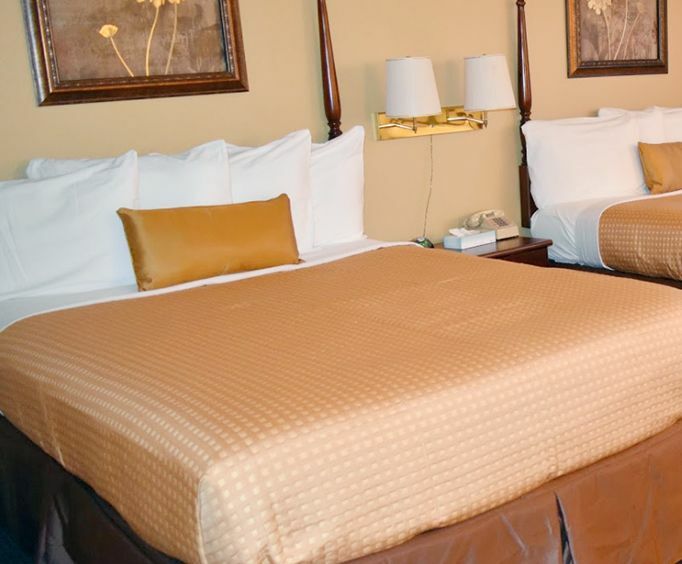 Once you return to the Southern Oaks Inn after a day spent exploring Branson's finest landmarks, you will be able to enjoy awesome amenities and recreation. Guests can catch up on the news with the TV in the lounge or browse the internet with free WIFI. 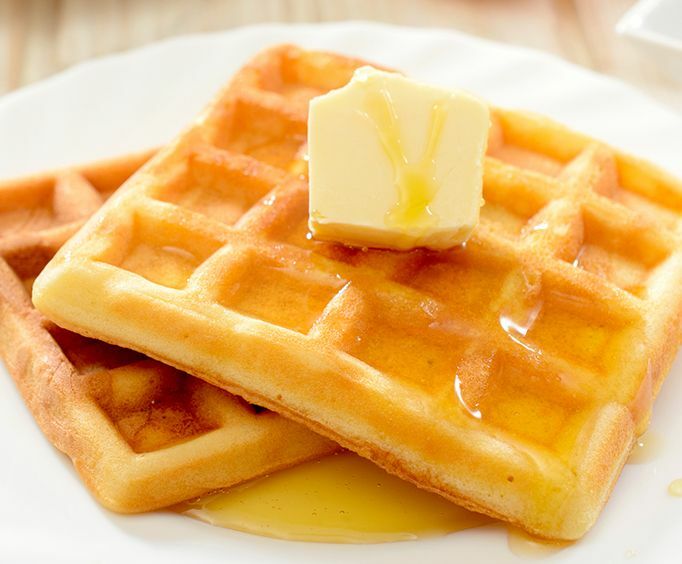 Each morning is started off right with a delicious complimentary breakfast served from 7 AM to 9:30 AM. Other amenities include a 24-hour business center, 24-hour front desk service, and laundry facilities. Guests can also park for free. After you catch a show or grab a bite to eat, the whole family can go for a swim at one of the hotel's pools. April through September, the outdoor pool is open allowing guests to swim underneath the sun or work on their tan. The fun doesn't just stop the rest of the year though. The hotel is also home to an indoor heated pool. 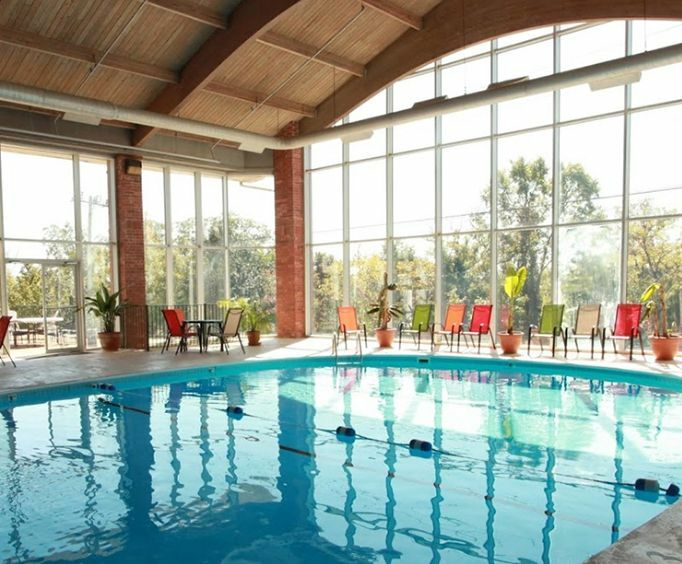 The indoor pool is located in a stunning, sunny atrium which features some awesome Ozark Mountain views. As for the rooms, each is equipped with items to ensure that your stay is comfortable. The rooms feature partially open bathrooms with shower as and bathtubs, and toiletries and a hairdryer are provided. Guests can take advantage of the in-room coffee makers and ironing boards as well and relax with cable TV and free WiFi. Of course, the 140 rooms at the Southern Oaks Inn are all air-conditioned. Do not miss out on planning your perfect Branson, MO getaway. With these accommodations, you are sure to have an amazing time.